Remo Cucine, which is based in Torrebelvicino, province of Vicenza, successfully combines traditional artisan know-how with technological innovation. It is considered a highly-advanced subcontractor and its excellent products and service are the undeniable sources of its success. The entrepreneurial intelligence of Donatella and Alberto Dalla Via, and their ability to look forward, led them to decide to switch from manual production to automation, cutting down processing times and, especially, offering finished products of higher quality. 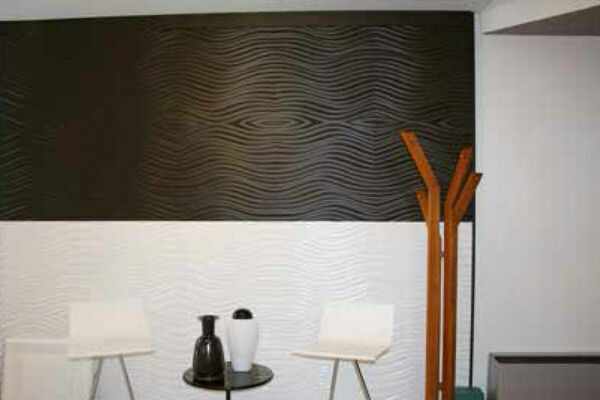 The company processes HDF panels destined mainly for display cabinets in optical stores and pharmacies. 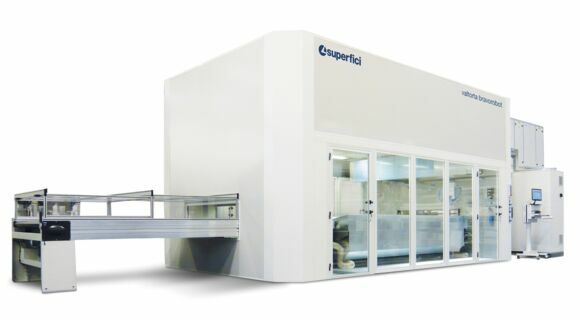 The growing demand, together with the need to promptly and fully meet clients’ requests, especially those coming from architects who are always seeking distinct chromatic solutions, led Remo Cucine to install in its plant an automated robotic system for the application of water-based glues and paints on its HDF panels. 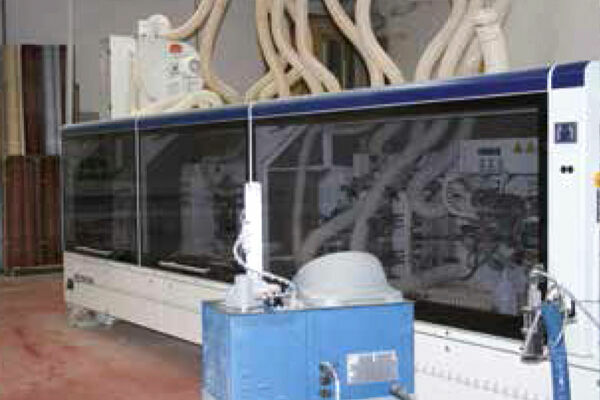 All you need to do is set the various parameters, such as glue gun angles, according to the type of surface and edges, and then the robot will operate automatically following a programme fed by the control panel, using its three glue guns, two of them fixed and the other for the edges. Painting and gluing are similar processes; all you need is to replace the glue guns with spraying guns. The production chain, entirely internal, combines the traditional artisan precepts with latest-generation technology, making the company a kind of industrialised carpentry shop. Operating out of two production plants, Remo Cucine uses the most advanced woodworking machines, including an edgebander, a press and a brushing machine.